Small Triceratops Wall Sticker Dinosaur Decoration 11.5" x 12"
Home | GIFTS | Crystals | Small Triceratops Wall Sticker, 11.5" x 12"
Small Triceratops Wall Sticker, 11.5" x 12"
Small Triceratops Wall Sticker. Self adhesive wall applique measures 11.5 (29 cm)" wide x 12" (30.5 cm) tall. Wall decals are removable and re-positionable stickers made of a vinyl-like material. A quick and simple alternative to painting, wall decals stick around best on surfaces that are dry, clean, and smooth. 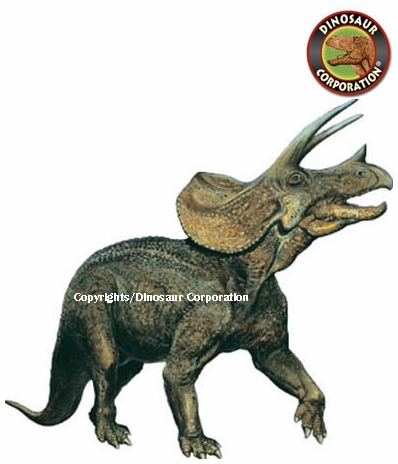 Copyright Dinosaur Corporation, U.S.A. All rights reserved. Note: Copyright markings do not appear on the final art.